Some articles don’t come easily under other categories. These could be comments on the news, thoughts about other cities and archaeological sites, or reports from a conference or lecture I’ve been to. This website is all about the historic landscape. It’s about how the landscape shapes what happens in the city, and it’s about the landscapes that we invent by living in it. Just think of the ‘Knowledge Quarter’ and the ‘Cavern Quarter’. Though they’re sickly marketing-gimmick names they do acknowledge some of the character that certain areas have built naturally, unconsciously over time. And so it was with great excitement that I found that The City and the City, a brilliant book by China Mieville, had been adapted for the small screen by the BBC. Note: I’m not intending to have too many spoilers in this post, but I will be talking about the big plot concepts which permeate the whole story. If you’d rather come to the story fresh, go and read the book, or watch the show, first, and come back to this later. This post isn’t going to be a review of the programme. Suffice to say I loved the book when I first read it, and I loved this adaptation. I recommend both. My article is about how Liverpool is a star of the show, and the city features centrally. Hell, the main character is played by Liverpool’s own David Morrissey. But he’s not the only Merseyside star of the show. The City and the City is a veritable I Spy of Liverpool locations. The main concept of the book, on the face of it a police procedural, surrounds the two rival cities of Besźel and Ul Qoma. Besźel is the down-at-heel city where Inspector Tyador Borlú (Morrissey) polices the streets. Ul Qoma is the shiny, high-rise, Shanghai-alike sibling that split from Besźel some years ago. The crucial fact is that the two cities occupy the same space on the map. Citizens of one must not look at (in fact, must learn to ‘unsee’) the buildings and people in the other city, on pain of apprehension by Breach, the government unit who monitor the invisible and intertwined border. Suffice to say that when Borlú starts the investigation of a woman murdered in Ul Qoma but dumped on his home turf of Besźel, the Kafka-esque complications of the invisible barrier complicate things enormously. How do you film such a high-concept story? The characters have been brainwashed into fearing even accidental interaction with the other side. They almost literally cannot see what they are not allowed to. ‘When in Besźel, see Besźel’, as the propaganda posters remind the good citizens. Well, of course you need a city with shiny high rises, an ageing red-brick airport, a smattering of Brutalist towers, and some ornate Victorian architecture to give a sense of faded glamour. And you need all this on top of each other, preferably over a network of strange underground arched caverns. Oh, and of course you need a colossal columned building to act as the central bureaucratic Soviet edifice. The distinctive front of St George’s Hall, CGI-enhanced with domes for extra threat, is ‘Cupola Hall’ in The City and the City. While watching it, what started out as an exciting game of spot-the-landmark soon became an interesting thought process: why was Liverpool a good place to film this programme? 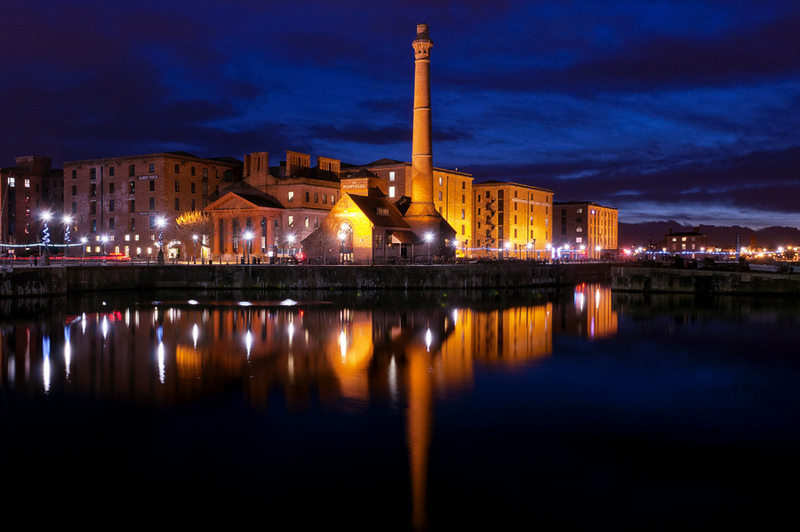 Liverpool is a complex arrangement of buildings which have grown up over the years. The same goes for the streets of the city. There are wide boulevards and open plazas. There are narrow streets, Art Deco tunnel entrances on both sides of the river. There are glass-fronted towers and there are concrete monstrosities (that we love all the same). There are older, sturdier bright white stone office buildings. There are mysterious obelisk-like monuments standing proud, but of uncertain origin. Water Street typifies the potential that those working on The City and the City saw for portraying two different cities in the same place. 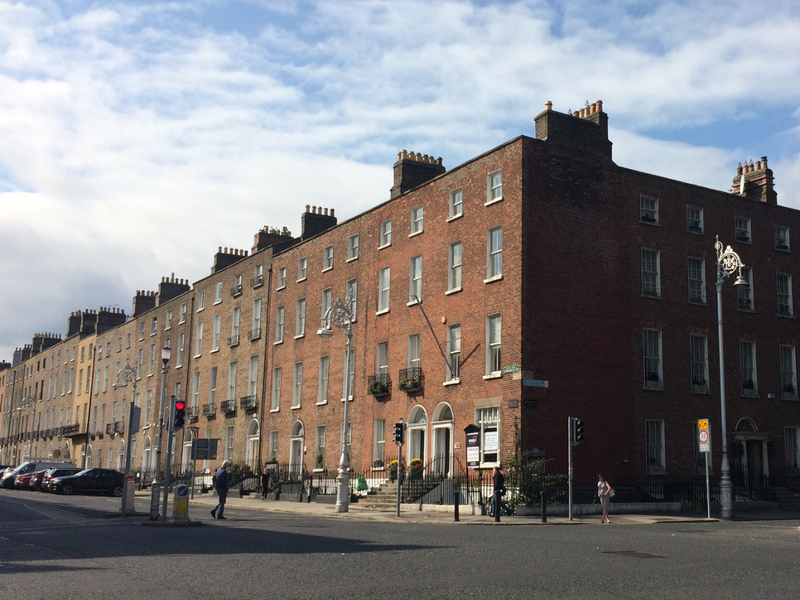 The north side of the street is a hotch-potch collection of different architectural styles. 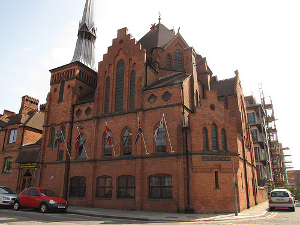 The groundbreaking Victorian Oriel Chambers sit next to some 1960s egg-box building which is clearly inspired by it. The Town Hall peers round the corner, sticking out beyond the general street line. 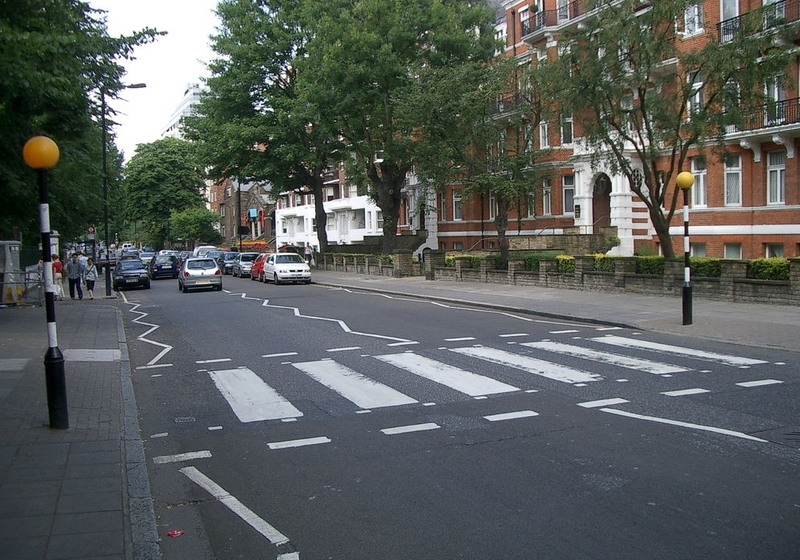 The south side of the street, by contrast, is a catalogue of massive yet clean Neolclassical lines. The square bulks of India Buildings and 7 Water Street (an old bank) make a imposing business face that doubles as the wealthy Ul Qoma landscape. What’s often lost in discussion of ‘heritage vs progress’ is this wonderful variety. We can argue til we’re blue in the face whether the old Midland Bank on Dale Street is in keeping with the other offices, or if the Echo really did complain about the ugly pile of stones – the Liver Building – when it was built blocking their view of the Mersey. But any true heritage campaigner fights for all types of quality building. The idea is that additions to the landscape should improve it, not just boost the ego of the architect. Even more importantly, removals should not be to the detriment of the urban environment, and certainly shouldn’t be pointless demolition. The City and the City reminds us of this variety by deliberately separating it out. In the story, Tyador Borlú can only see the old and higgledy piggledly world of Besźel, while Ul Qoma is modern and foreign. But the plot inevitably leads him to break that barrier, and discover how the other half live. In his world, the two sides can never be reconciled, but in our world, in our city, they are. 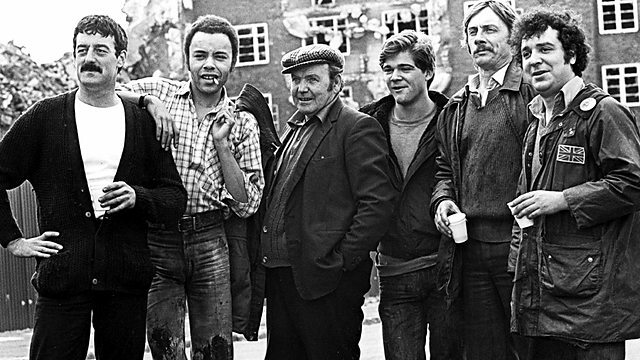 Using Liverpool as a film set is nothing new. We’ve seen Harry Potter and Captain America gracing the streets of the city, because it can fill in for 1920s-40s New York. Foyles War used it to depict London, Poland, Southampton and France. But the case of The City and the City is even more impressive. Liverpool stands in for two cities at the same time, in the same place, a city uniquely conceived and arguably unfilmable, except for in this, the City of Cities. I hear that the interior (bar and club) shots were all filmed in Manchester. But I’d be interested in knowing where other exteriors were filmed. There are a few bonus screenshots below, where I’ve noticed a Merseyside building or streetscape. But let me know if you’ve watched this programme and have noticed any more. The thing which inspired this website from the outset was the huge number of historic features in Liverpool that we take for granted every day. The Queensway Tunnel is one of them. Thousands of people use it every day to commute between Liverpool and Birkenhead. It’s part of the furniture. And yet it’s easy to forget that this tunnel is nearly 100 years old, and was a pioneer. It’s even easier to forget just how attractive it is, under Churchill flyover and the mass of toll booths on the Wirral side. Some of the best bits have disappeared forever, such as the beacon which once stood proud at the Liverpool entrance. Birkenhead have kept theirs, yet these are just part of the wonderful design which demonstrates the care paid to civil projects such as this back in those days. 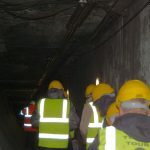 One way of getting to know the Queensway Tunnel better is to take a tour. Merseytravel run tours on Tuesdays, Wednesdays, Thursdays (5pm) and Saturdays (10am) (more details on the Merseytravel website). 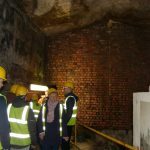 The tours start at Georges Dock Building, and show you around the whole of that edifice as well as parts of the tunnel underground. Our guides were Ryan and Billy, and like the best Scouse tour guides, they were a bit of a double act! They must have done that tour hundreds of times, and yet they presented the tour like two people still in love with their work. They reminded me of the guides on the Old Dock tour, and just as knowledgeable on their specialist subject. There’s something that always strikes me about George’s Dock Building. Even though I know this ‘fact’, the tour really made it hit home: the whole thing is a ventilation shaft. 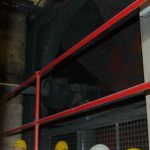 Fresh air comes in through the ‘shoulder’ of the building, sucked down by massive fans into the bowels of the building. At the same time, air from the roadway is pushed back out of the top of the building. 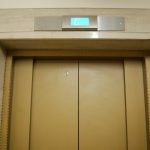 The offices and control rooms which make up the rest of the the building are cleverly built in around this primary function. 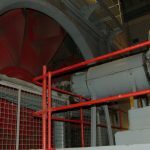 The almost unnerving truth is that, when you’re half way around the tour, you’re inside the ventilation system. That’s right: when the fans are spinning round you feel the air being drawn past you as it makes its way out of the tunnel. 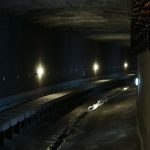 But before you cancel your tour tickets, the guides reassure you that the air quality inside the tunnel itself (let alone in the ventilation shafts) is clean. So clean, in fact, that it beats some central Liverpool streets for low pollution levels. That wasn’t always the case, of course. 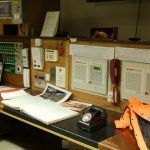 From the 1930s to the 1960s and beyond, the time someone was allowed to work inside the system was restricted to minutes at a time! For fear of spoiling it for those who want to go on the tour, I’m not going to give away too many details. 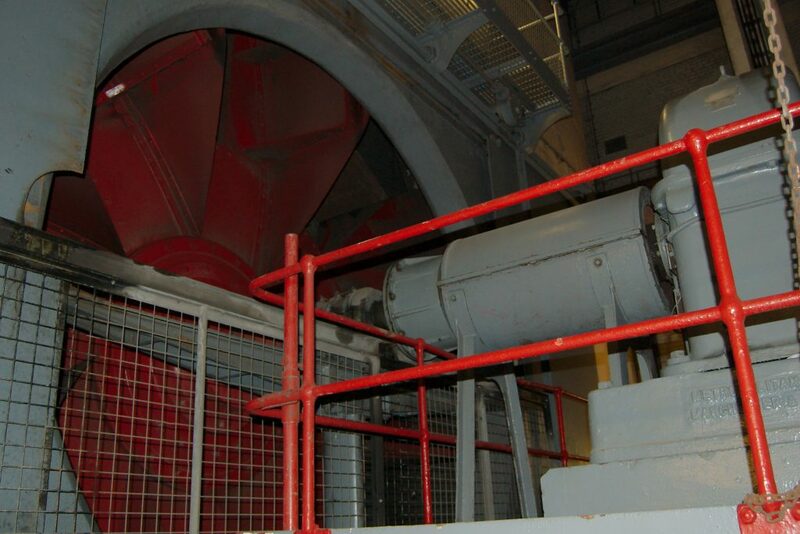 Suffice to say that the highlight for me were the original fans (or impellers). 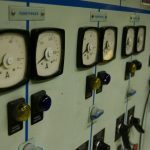 They are still used every day to move the air around. They’re huge: so huge that the building was constructed around them, and they won’t be leaving until the building is pulled down! Other wonderful features are the little details that only a tiny minority would have been expected to see. The lifts are beautifully decorated in art nouveau styles. 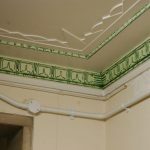 There are mouldings around the ceiling in the stairwell and on the roof windows in the control room (see gallery below). To increase light levels the interior of the largest chambers are covered in white glazed tile. Even those tiles, though functional, are attractive. How the general engineering works hand in hand with the architecture is something that you rarely see nowadays done in such a beautiful manner. This was brought home to me as we left at the end of the tour. A Cornish family had just arrived in town and were having a wander around. 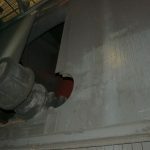 When we told them what was inside they asked ‘But what was it originally?’ Nope, it’s always been a ventilation shaft! Just a ventilation shaft like they don’t make any more. I’ll get out of the way now and let you look at the photos. 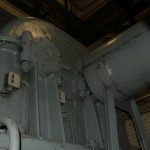 These are just a few that I took on the Queensway Tunnel tour. All the details are in the captions – click for larger versions! Moulding around the ceiling in the stairwell. Notice the more modern interventions when presentation was less of a concern! On the other side of the control room sit the necessary technologies: phones, more phones, and notebooks. 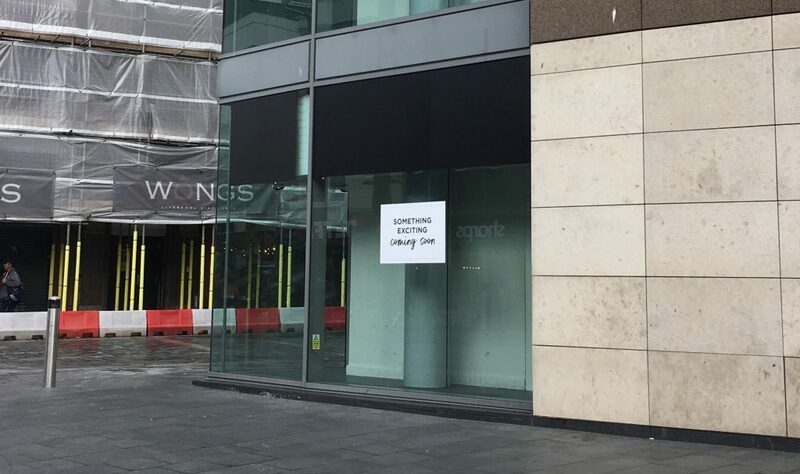 This office closed in 2015! 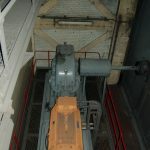 A motor which drives one of the original fans. 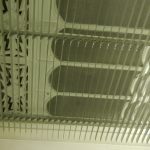 The doors in front of one of the fans are drawn back to reveal the red blades behind. A dramatic moment! You can just about make out the fans here, with human heads for scale! 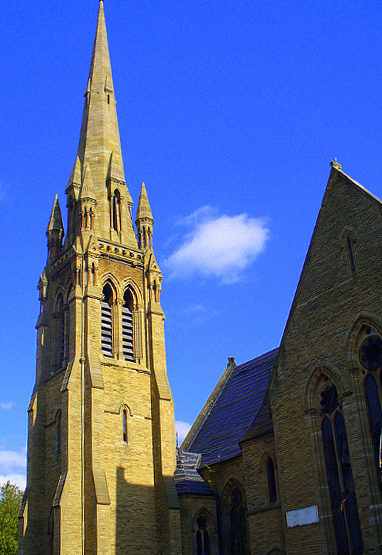 This article was inspired by Celia Heritage’s recent article on parish churches. Her love of churches, in terms of history, began through researching family history and looking for ancestors’ gravestones. 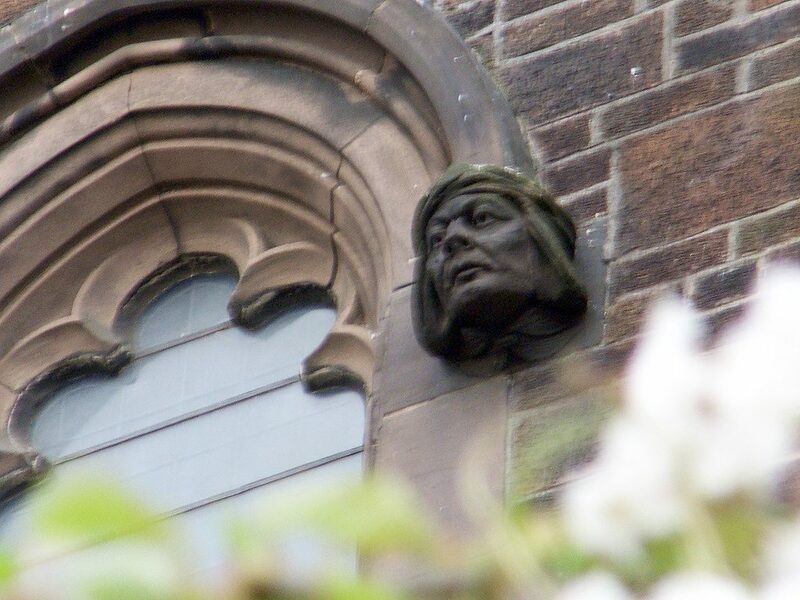 What to Look Out For in a Parish Church is the first article on the revamped Celia’s Blog. The article is a really interesting run-through of the oft-missed aspects of church architecture and archaeology and those features which any observant onlooker can spot. The new Museum of Liverpool opens this week, to great fanfare and after what seems like a long wait. 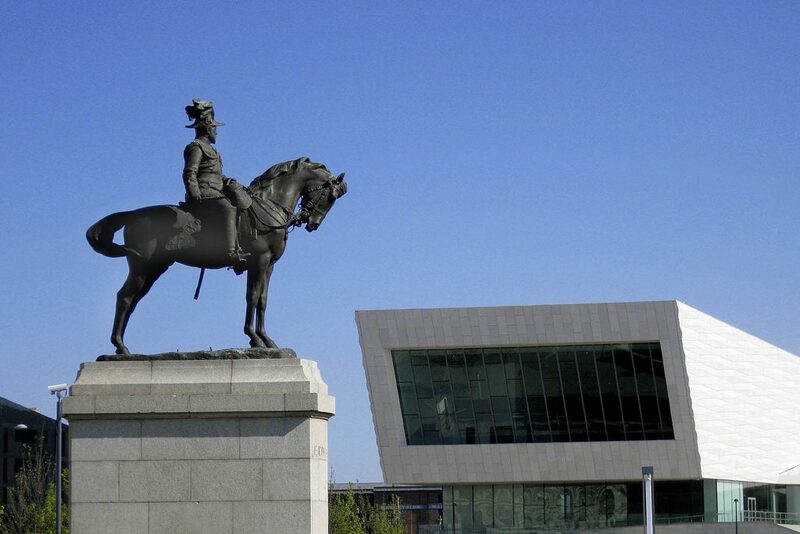 ‘Museum of Liverpool’ is a very fitting name too, because this is a museum about the city, and about the people. It’s the largest national museum dedicated to a city in over a century, and opens in a year when the M Shed in Bristol, the Cardiff Story, and Glasgow’s Riverside Museum Project bring similar attractions to those places. 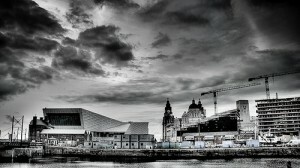 But just as the Museum of Liverpool will capture the city in a nutshell, the city beyond is a museum in itself. For starters, it contains objects that have survived from the past into a new use in the present, but unlike the museum, they’re not on here for display’s sake. 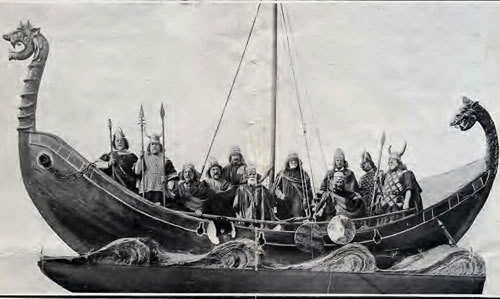 OK, so perhaps the Norse are as far from the ‘Liverpool Radicals’ we have in mind in 2011 as it’s possible to get. They’re distant in time, left little visible trace in our city, and went about changing society through the delicate application of pointy-horned helmets. Today is International Women’s Day, and to mark the occasion this edition of the ‘Liverpool Heroes’ series (see the last post’s coverage of J.A. Brodie) discusses a remarkable women whose effects on Liverpool were felt for decades after her death. Kitty Wilkinson’s story is classic Victorian Liverpool: born in Londonderry in 1786, Wilkinson moved to Liverpool with her parents when she was just 8 years old. Tragically her father and sister were drowned at the end of the crossing when their ferry hit the Hoyle Bank. Despite being faced with the terrible hardships of the time, she was known for opening her house to anyone who needed help. One of the services this entrepreneurial woman took on was to allow people to use her house and yard to wash their clothes for a penny a time. During a cholera outbreak in 1832 she offered her scullery boiler to all who wished to wash their clothes and linen. This proved so popular that her cellar gradually evolved into a wash house. None of those who worked here became infected by cholera, so effective were her disinfection efforts (e.g. the use of bleach to help clean clothes), and Kitty’s efforts led directly to the opening of the first public wash house. 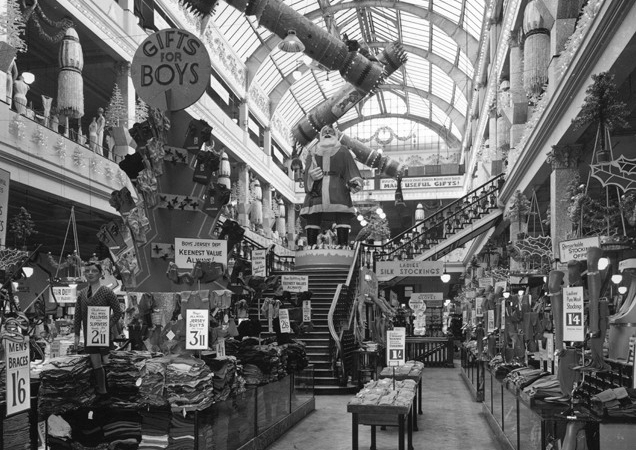 This was in Upper Frederick Street, and opened in 1914. Given support by the District Provident Society and William Rathbone, Wilkinson was made superintendent of bath, and through the newspapers was crowned ‘Saint of the Slums’. So how did Kitty Wilkinson shape the landscape? She pioneered the public wash house movement, and the last wash house closed only around a decade ago. 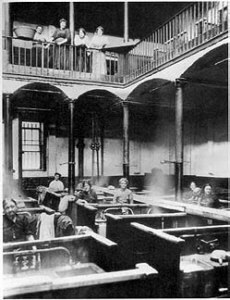 The Upper Frederick Street building was a monument to her efforts, and in a sense the rest of the wash houses were also. In less concrete terms she also affected the human landscape of Liverpool. For the first time there was a place to go to clean your clothes properly, and the effects on stemming the spread of disease through the city are a legacy of Kitty Wilkinson’s generosity and hard work. This woman was a testament to fact that even those born into the poorest levels of society can make a massive difference to the built and experienced landscape. For a detailed look at the achievements of Kitty Wilkinson, see Michael Kelly’s 2007 book The Life and Times of Kitty Wilkinson. For an overview of the history of personal hygiene read Clean: An Unsanitised History of Washing by Katherine Ashenburg. 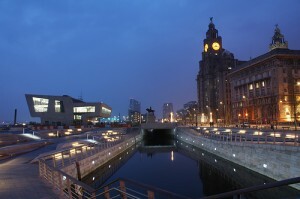 The theme for 2011 in Liverpool could be said to be a celebration of the city’s heroes. 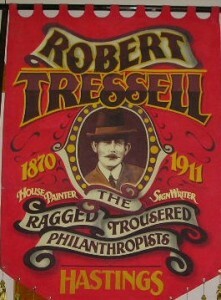 This centres around the anniversary of the death of Robert Tressel, author of the Ragged Trousered Philanthropists. This ‘socialist novel’ has been described as ‘seminal’, and sought to publicise the author’s criticisms of the greed of capitalism. It was also possibly the first novel about the class war. Liverpool has a long and proud tradition of philanthropy (and class war…), which are still in evidence today, so although Tressel (born Noonan) had only a fleeting relationship with the city (he died here on his way to Canada in 1911) there is certainly a lot to talk about in this year of Liverpool City of Radicals. In a couple of future posts I’m going to talk about the radicals, philanthropists and pioneers who have shaped Merseyside’s landscape (in quite broad terms! ), but it’s worth starting off with a little round-up of the recent and future events celebrating Liverpool’s influential sons and daughters of all types. Robert Tressell, who died at the Royal Infirmary and was buried in Walton Cemetery, will be celebrated across February in the city. A memorial service for the author took place on 3rd February, including a recreation of his funeral. Then, readings from his most famous novel will happen on various days until 15th February. See the Liverpool City Council Robert Tressell Celebration page for three radical events which happened in 1911, and the plans for this year’s commemorations. One thing Liverpool is doing more and more prominently each year is art, and so Liverpool Discovers will be one of the best ways to find out about the great discoveries and inventions which can call Liverpool ‘home’. 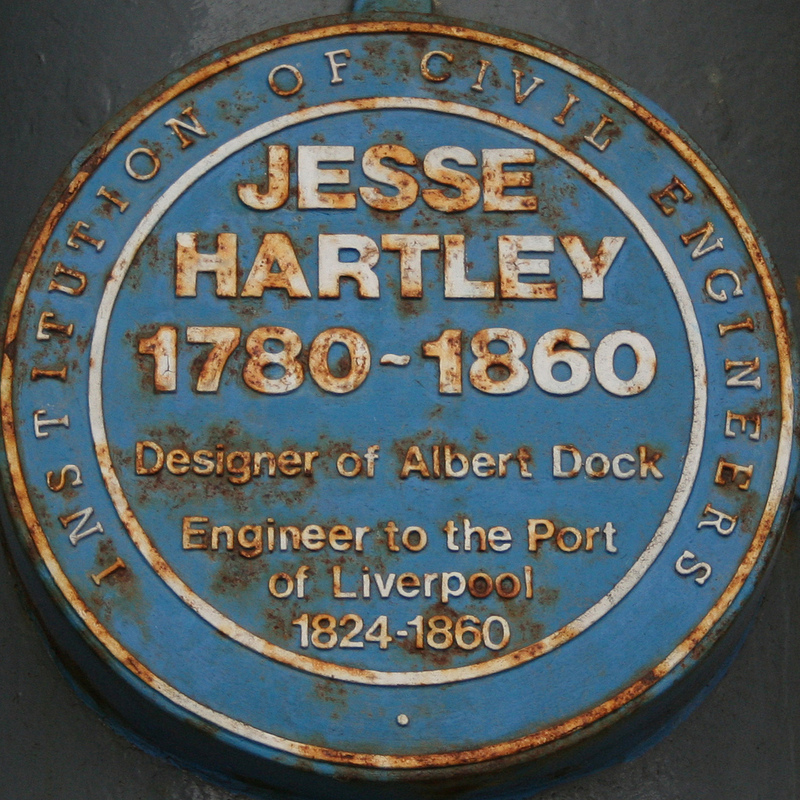 Liverpool, the Wirral and St Helens will be the venue for a trail of art installations celebrating the lives of Liverpool’s greats, from Stephenson and his Rocket and Jeremiah Horrocks to suffragette Mary Bamber and Ronald Ross, who discovered malaria’s mode of transmission in the world’s first school of tropical medicine. There’s now a map for you to download and follow to take in all these artworks, so get your walking shoes on and hit the streets (from 14th February!). Slightly less Liverpool-centric, and with a questionable level of focus, is a project which is part of the Central Library redevelopment. Liverpool City Council wants you to have your say in the selection of works to adorn a ‘Literary Pavement’ leading up to the entrance. Titles from books, cinema and music have been nominated, meaning Sgt Pepper’s Lonely Heart’s Club Band sits next to The Very Hungry Caterpillar. 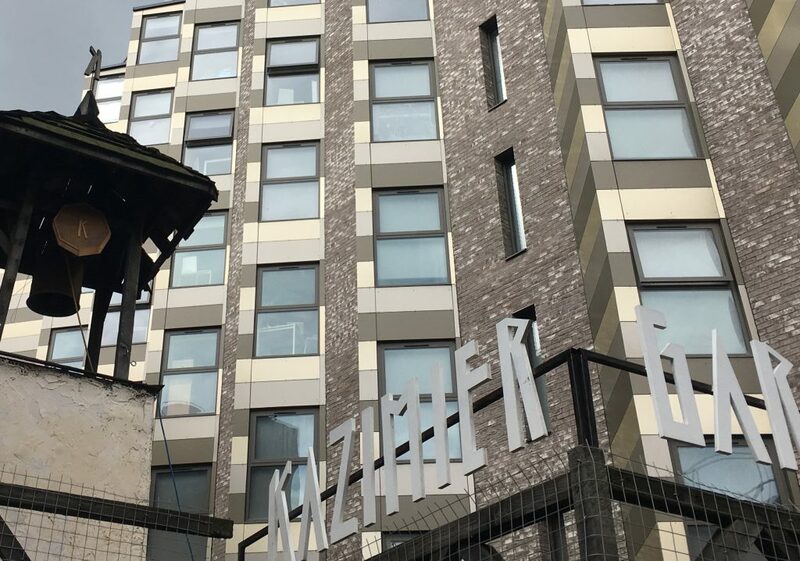 As I mentioned, this is less Liverpool-centric, but another element of the project is to have a ‘Literary Liverpool’ display on the rear of the building. This gives all its space to Scousers, including Beryl Bainbridge, the late Brian Jacques, and Robert Tressell himself (ok, so we seem to have fully adopted him as an honorary Scouser). Your role is to vote for who lands on the Pavement and who sticks to the Wall, so go and vote! I must admit I was only vaguely aware of The Ragged Trousered Philanthropists before late last year, and had no idea of the Liverpool connection. So I’ve bought the book, and will let you know my thoughts on it if it’s relevant to this blog. I’m certainly looking forward to picking it up, and if you want to buy a copy while supporting this blog, just click on the book cover to the left. If you buy a copy after using that link (even if you choose another edition!) then a small slice of the profits will go into helping this blog break even. If you do read it (or already have done!) let me know your thoughts! What have philanthropists ever done for Liverpool? Were their gifts to the city just guilt for their own wealthy status (often earned on the backs of the working class)? Or were they truly trying to change Liverpool for the better? Perhaps it was both. Next time I’ll explore a couple of people who’ve had a ‘radical’ effect on the city. Who should I include? This year sees another census taking place across the United Kingdom. Censuses have been carried out in the UK every ten years since 1801 (with the exception of 1941 – the Second World War) and are therefore are amazing sources of information for family historians. Alongside other sources they can also be useful to the local historian, and it’s becoming increasingly easy to get your hands on them. The first census in England produced perhaps the defining document of the medieval country: the Domesday Book. The Book was produced as a way of measuring the wealth, and therefore taxability, of the whole of England, and was perhaps the natural thing for a new, invading, king to administer. Some unconquered parts of England were not included in the survey (notably parts of Cumberland and Westmorland), but for the majority of the country, Domesday Book continues to be an important primary source of information, including as it does the size of land divisions, industry, animal holdings and land owners’ names. It’s probably well known that Liverpool, having yet to be founded, does not appear at all in Domesday. 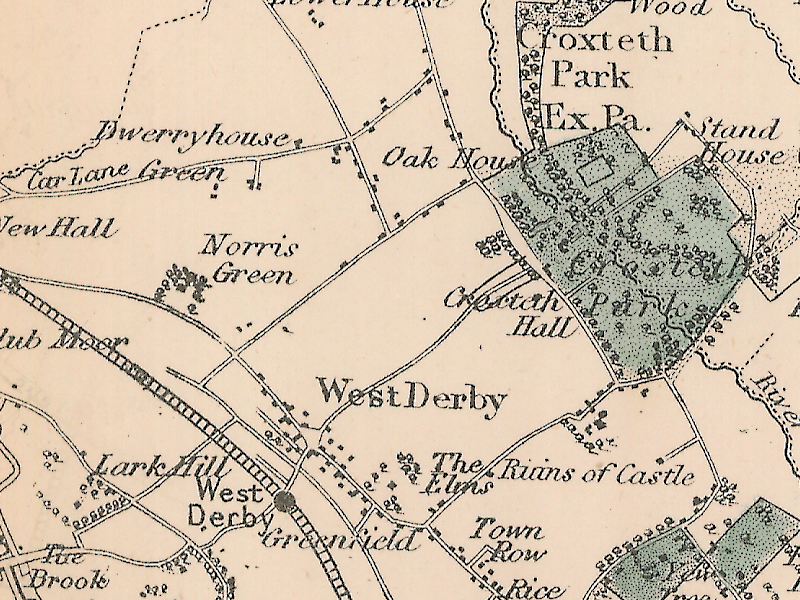 But many places on Merseyside do, including West Derby, Toxteth, Aigburth, Croxteth and Garston. The Domesday Book has been an invaluable resource for local historians for years, and is these days available in modern published versions (such as the Penguin Classics translated version). Also, you’ll find the Victoria County History (if you can get your hands on one) bases its organisation on the Book. In turn, I based Historic Liverpool on the VCH, which is why this history of Liverpool is is divided into the townships found in these Victorian volumes. The first modern UK Census took place in 1801, and the exercise was repeated every 10 years after that (along with some at the five year point in between). For family history purposes, 1841 marked an important change: whereas the first four surveys had simply collected head counts in all regions, this one included the names of all people living in each household. The 1911 census, released two years ago is the first one where you can read the form filled in by your ancestors (see also www.1911census.co.uk). The next census will take place this year, on 27th March. There’s a £1000 fine for not filling it in, but also remember the legacy you’re leaving for future family historians (one you’ve enjoyed yourself as a researcher, perhaps). Liverpool City Council is launching a campaign to encourage people to register as central government money is allocated based on population. So current and future censuses still play the role they did back in 1801. If you’re a family historian you probably already know the many ins and outs of research with censuses. Many of the older ones are available online (with newer ones becoming available gradually under the 100 year rule). So what can you do with the census data as a local (as opposed to family) historian? For city historians the censuses can be used in a similar to Gore’s Directory: if you’re studying a small area then cross reference the addresses with the professions mentioned, and you have a good idea of the character of an area. Was it a residential area full of dock workers? Were there corner shops in the area? Or pubs? Was it a richer area full of merchants, factory owners and diplomats? Landscape change over time: following on from the above point, perhaps you want to know how a residential area changed over time. In Liverpool, Everton, Toxteth and Kirkdale were the first suburbs, expanding to cater to the rich who wanted to escape the city. 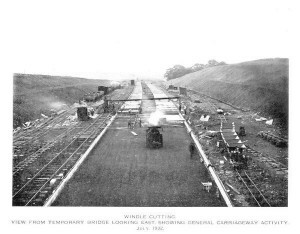 Later these areas were covered with terraces for dockworkers. Later still the slums were cleared and modern housing erected in its place. While old maps can show direct evidence for this change, the census adds an extra layer of detail. 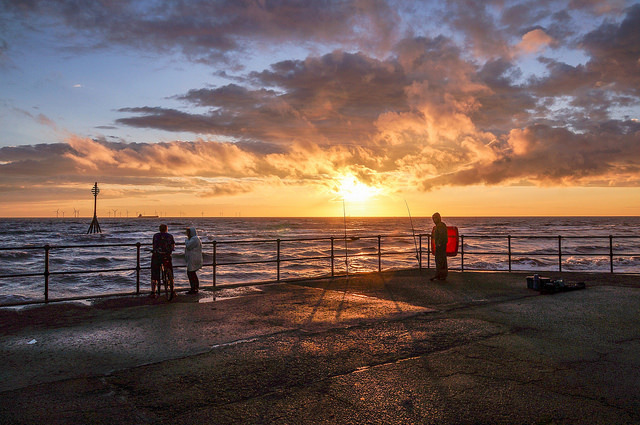 Immigration: for Liverpool as much as other cities, many events and the tale of expansion are related to the areas in which incoming migrants lived. In our city (‘our’ in the most inclusive sense!) 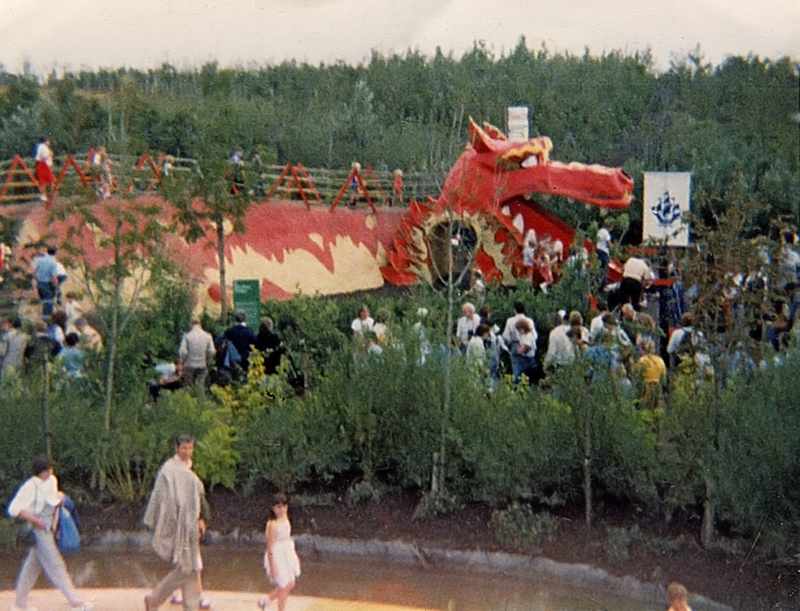 Welsh communities could be found in the north and east, the Scottish in the north and centre, Jews first around Brownlow Hill and then in the southern suburbs (Childwall, Allerton and Gatacre), the Chinese in… well, Chinatown, and the Scandinavians in Liverpool’s ‘Sailortown’ (Park Lane area). Censuses fit in here as they contain information on religion and language, and therefore the culture of different communities. If you’re more technically minded, you might even make use of the National Archives’ Domesday on a Map, or its Domesday Places dataset. Perhaps you have other suggestions for uses of census data in local history; feel free to share them with us in the comments! If you’re interested in finding out more about your ancestors (as is the most usual role for the census!) then there’s no better place to start than Tracing Your Liverpool Ancestors: A guide for family historians, by noted Liverpool historian Mike Royden. Mike is the man behind the Local History Pages, and has also appeared on TV and local radio. The book also contains a lot of local history too, as historical context is ever important when researching your family tree! It’s the end of 2010. It’s been an… interesting year politically – a coalition government for the first time in my lifetime; frequent use of the word ‘swingeing’ in many and varied ways; the Conservation Centre is shutting its doors to the public; and snow is keeping you indoors reading this. But what else has happened this year? Anything to warm our annual nostalgia cockles? 2010 started on an optimistic note – it was the World Museum’s 250th anniversary, though this was somewhat overshadowed with the closure of the Conservation Centre. February saw start of the excellent Streets of Liverpool blog. Later in February the keys were handed over for the new Museum of Liverpool, although controversy rose its ugly head later in the year when a historic view was shown to have been blocked. March and April went by in a blur (oh yes, probably because I got married) and when things recovered the election was fast approaching. At the same time Lewis’s was heading for closure as everyone felt the pinch of recession. 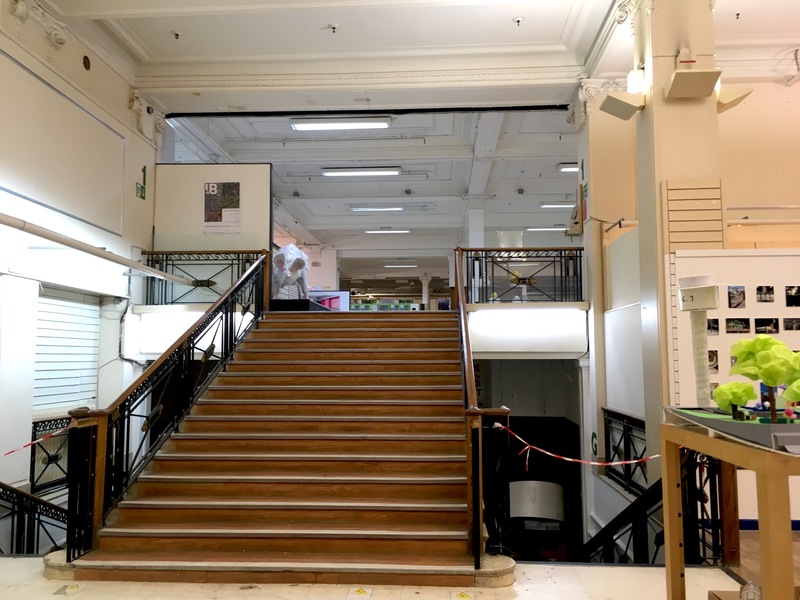 In July the first object – a carriage from the Overhead Railway – moved into the museum, but at the same time the North West Development Agency closed its doors. Another funding source for culture had disappeared. The Peel Waters project cropped up again and again in 2010. 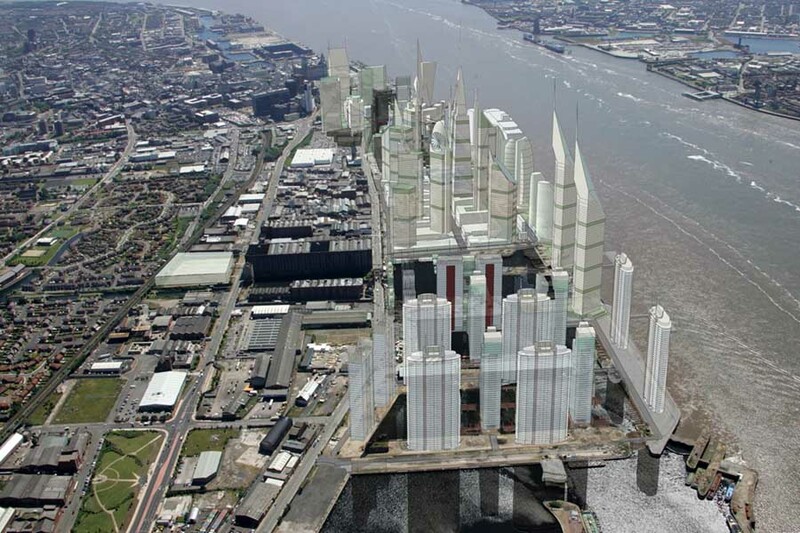 English Heritage expressed concerns about the effect of the new buildings on the World Heritage Site, while in later months Council Leader Joe Anderson reacted angrily to what he saw as EH’s interference with Liverpool’s development and future prospects. Meanwhile we were spoiled for heritage and arts projects, including: Edge Hill station being turned into an arts venue, Heritage Open Days bringing people into Liverpool’s historic water supply, the funding of conservation for 95,000 aerial photographs of England as well as Visible in Stone – women’­s history and the built environment and in October Black History Month. Finally, Historic Liverpool underwent a bit of a redesign, although it’s far from a finished project. Here’s to another year of additions to that! Phew! Liverpool and its heritage have had their ups and downs this year. We’ve celebrated the old, welcomed in the new (mostly) and commemorated the highs and lows of Liverpool’s past and imminent future. Any predictions for the coming 12 months? Or is that an impossible task? And as for 2011, what kind of posts would you like to see here? More about researching Liverpool local history? Should I keep to the news and concentrate the history on Historic Liverpool? Or something completely different? 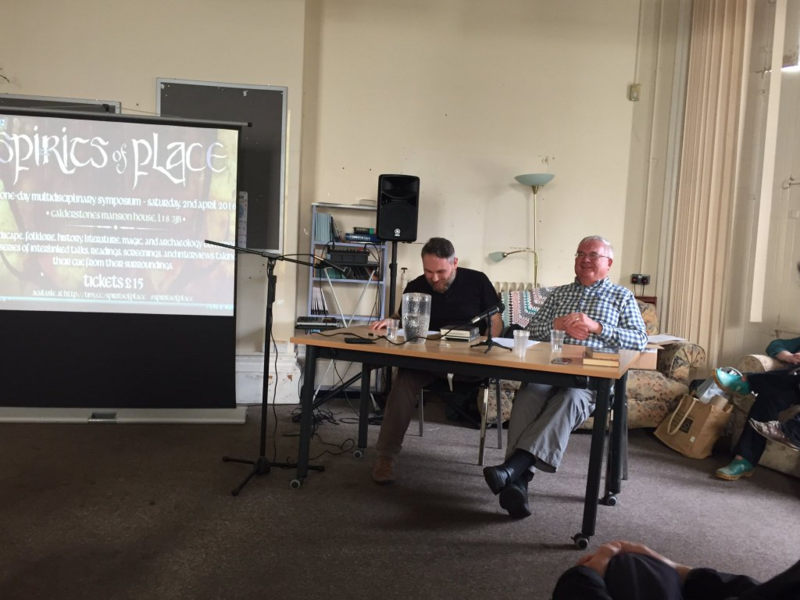 Liverpool Central Village – a lesson from history? This week the developer Merepark unveiled a slick video showing the world what the new Liverpool Central Village will look like. 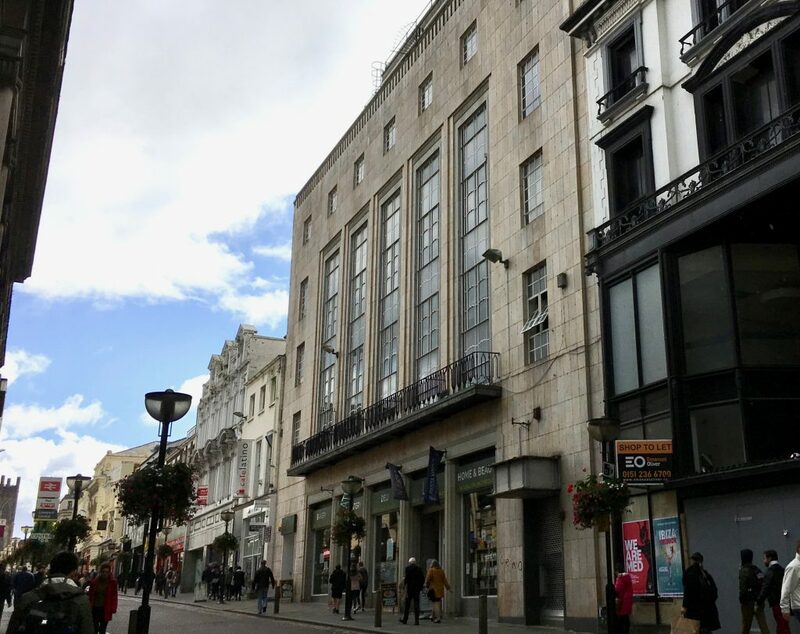 Central Village is the name given to the array of shops and flats which is to be built to the north of Bold Street, and which will take in the vacant Lewis’s building on Ranelagh Street. 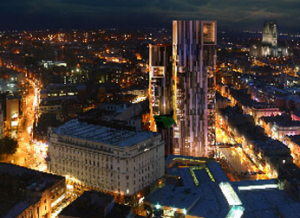 The thing which struck me was how similar Central Village will look to Liverpool One. The architecture is modern but not brutalist (much). Random colour schemes and harsh corners, but no 60s Piggery nightmare. The brands are all familiar too, with Odeon Cinemas being the most prominent. 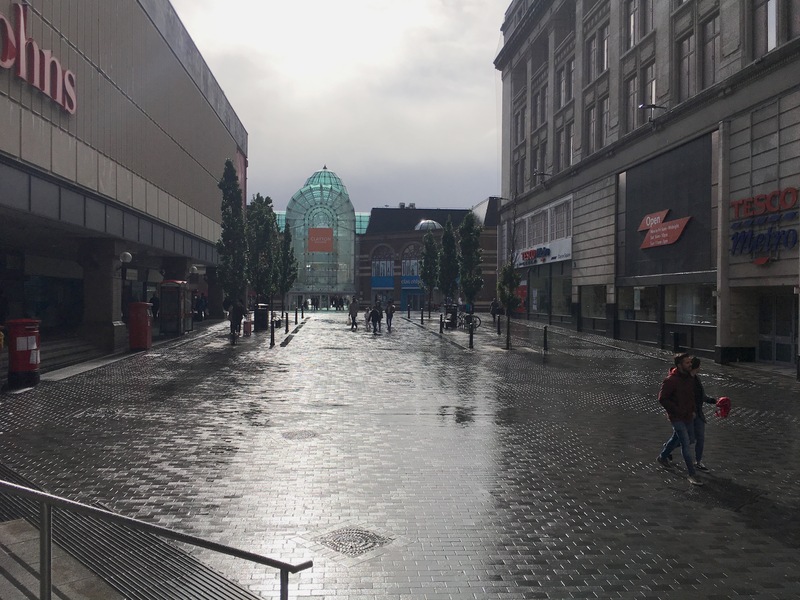 But the question raised by the video is ‘Does Liverpool need another (mini) Liverpool One?’ Joe Anderson rightly hails the thousands of new jobs which this development will create (during and after construction), but what can history tell us about how this may pan out? 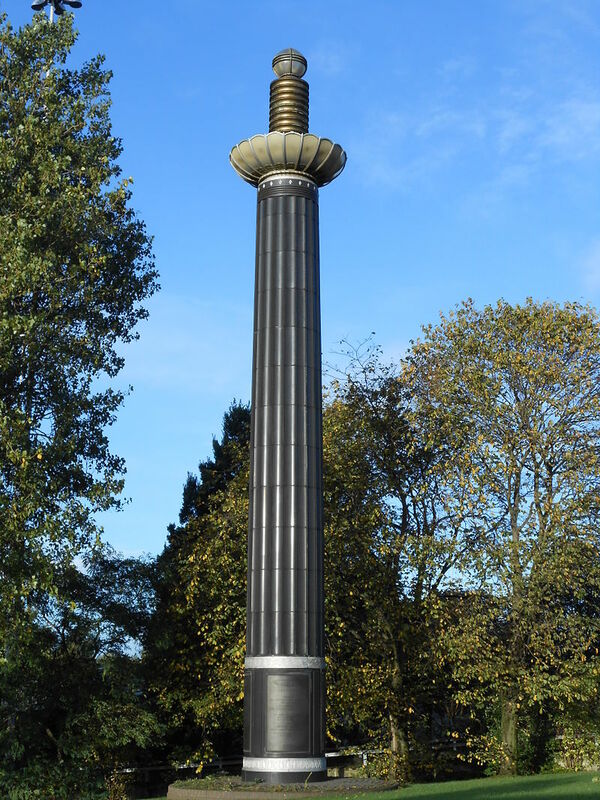 During the Second World War Liverpool was seen as a great place to site Royal Ordnance Factories (ROF), where munitions were produced for the war effort. It was away from the dangers of bombing which London suffered from, and out of town sites like Speke, Aintree and Kirkby were away from the bombs falling on the docks, yet well connected to those docks by rail, so easing the transport of raw materials coming into the port. When the War was over the ROF sites adapted to become part of the new economy of the mid 20th Century. Tax incentives encouraged large companies to site factories in these areas which were unrestricted in their growth – there were few neighbours in the area and the land was flat. There was also a ready-made labour force in the form of the thousands of people who were being moved out of central slums into new council houses, maisonettes and high-rise flats. Part of the answer presents an interesting dilemma to those who are championing this new development. The problem with the closing factories was that they were branches of multinational corporations. These corporations ‘always’ chose Liverpool because it was the easy choice. There were no vested interests in the city, no love for the place or its people. They were here for the money, and when that left, so did they. I don’t blame Joe Anderson for celebrating the continued surge in development in the city he loves (and this blog isn’t going to turn into an anti-Anderson moan despite the tone of recent posts!). You certainly can’t take the jobs away from the people who will definitely be employed to build the Village, and who will be staffing the shops and shiny cinemas once it’s complete. But if history can tell us anything about our own time (and this is what this blog is about) then it’s that investment in an area is strongest when the investors have a stake in the place they’re coming to. Having lived in places as diverse in beauty as Oxford and Swindon I’m well aware of the standard arguments against the effects of ‘clone towns’ on the quality of life in a place. 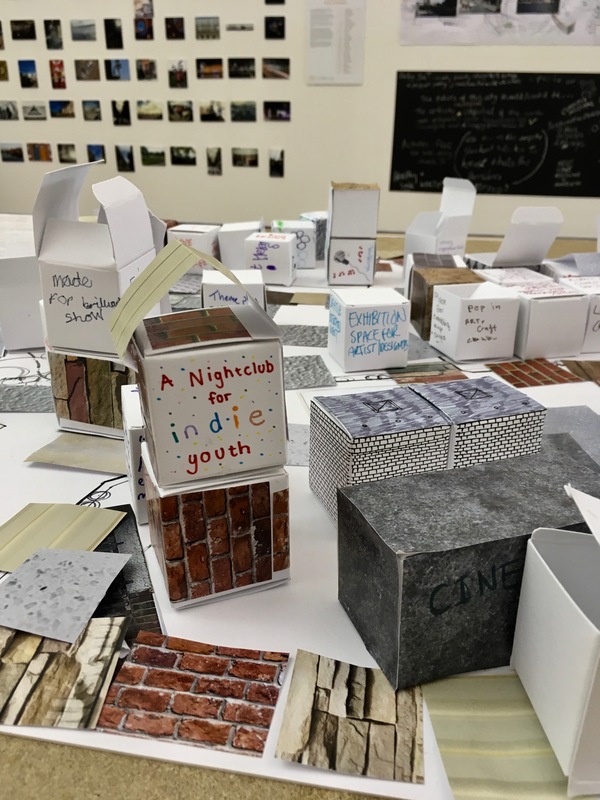 One of the Liverpool’s strengths has always been its range of independent – and locally based – shops which make a trip into town an often rewarding one (think News from Nowhere, Hairy Records, Quiggins and even Wade Smith). The area around Bold Street is one of the best areas for this. But the appearance and choice in clone towns is not the only issue, and the architecture is not in question here. The experience of those protesters at the gates of the automotive plants brings home the fact that, for long term success, a local economy must not be reliant on the continued interest of outside money. What do you think? Will the new developments be unparalleled successes? Or is history doomed to repeat itself as Liverpool continues its transformation into a modern shopping destination? Amongst the many things Liverpool is famous for, its long-held cosmopolitan nature is probably one of those which Scousers are less annoyed at being reminded of. 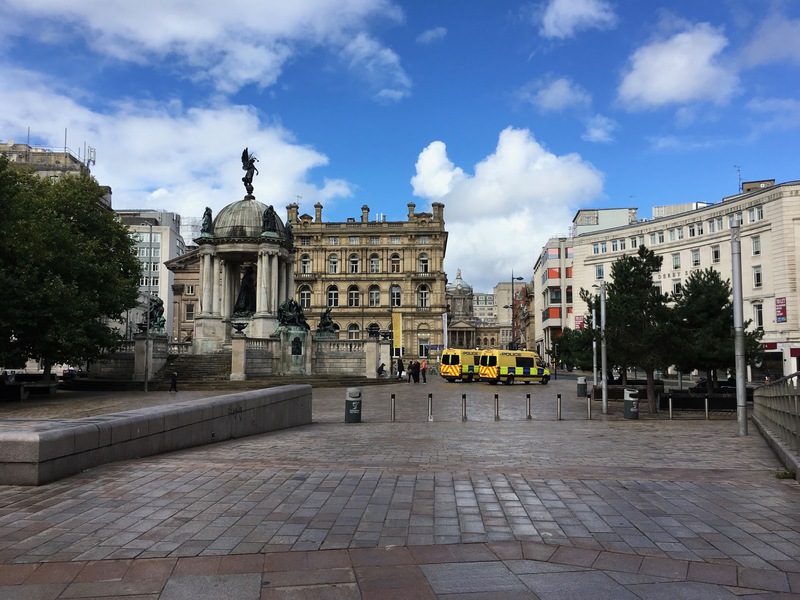 Liverpool’s long history of being a world port, along with its notorious role in the African slave trade have perhaps more than any other factors stamped their effects on the city’s image as a – cliche alert – ‘melting pot’. 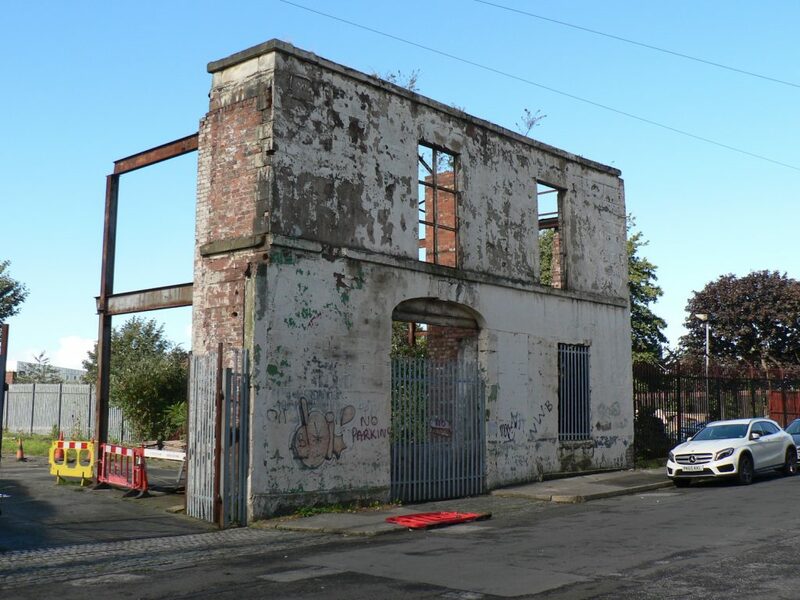 But what I’ve only recently come to appreciate is just how influential incomers from our own isles have contributed to the landscape and character – the atmosphere – of Liverpool. As a landscape archaeologist this has usually been of little interest to me (except where it affects road names and ‘territories’. But since reading Our Liverpool, and now finally making headway with the giant Liverpool 800 book I’ve come to realise just what ‘Liverpool Cosmopolitanism’ can really mean. I also feel a greater understanding of the way people from all over Britain (the ‘Celtic’ states) come together to make Liverpool the individualistic town it is. The Irish are some of the most famous of Liverpool’s incomers. Both sides of my family (the Crilleys and the Greaneys) came over from Ireland in the 19th Century, and I can guess that a large proportion of Liverpudlians reading this could trace a similar lineage of their own. A huge number of Irish migrants came over fleeing the potato famine in the middle of the 19th Century. Their numbers rose quickly and they were often stuffed into tiny and unclean court houses. They arrived poor, lived in squalid conditions and had a reputation for harbouring diseases in their communities, and conflicts often arose out of this with their neighbours (see below). On the other side of the coin, yet still probably due to their great numbers, the Irish community contributed more than other groups to politics. The sectarian troubles of their homeland were brought across the Irish Sea, but in addition to the differences between Protestant and Catholics the Irish community took part in electoral politics. Irish Catholic clergy were elected to School Boards. Pub landlords like Hugh McAnulty and Jack Langan lent their premises to meetings of various activist groups. Austin Harford, a successful cloth merchant, led the Irish Party from 1903 to 1923, and became the first Catholic mayor in 1943. As Liverpool 800 has it, ‘Liverpool-Irish’ was a distinct ‘hypenated identity’. Even as some sought to distance themselves from their roots as a way to “effect the quickest way out of the Liverpool ‘ghetto'”, it seems that as a distinct group the Irish were very active in all parts of Liverpool life (William Brown, funder of the Museum which sits on the road named after him, was an Ulsterman). The Welsh, in contrast to the Irish, appear at first to have kept themselves to themselves (or “looked after their own”, Liverpool 800, p.345). Having not come as far as the Scottish and Irish, many only stayed as long as it took to make their fortune and move back home. Others came seasonally to work, travelling along the coastal trade routes of north Wales. This insularity was exaggerated by the language barrier that the Irish never found trouble overcoming. The Welsh were known for their building skills, and the various groups of ‘Welsh Streets’ of ‘Welsh Houses’ became a hallmark. 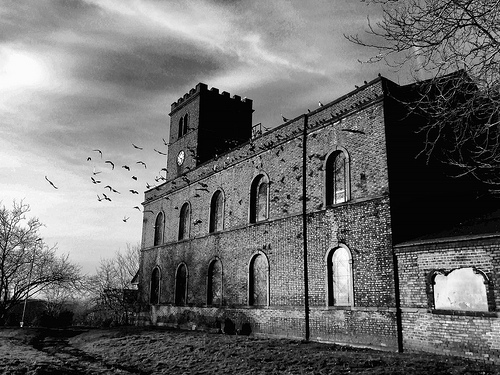 In addition Liverpool became dotted with the Welsh chapels which can still be seen across the city today. In a way these were enclaves which may have helped isolate the Welsh from wider involvement in, for example, politics. However, in later years there were movements to end this isolation. One of the problems was seen to be the lack of education which Welsh migrants had. 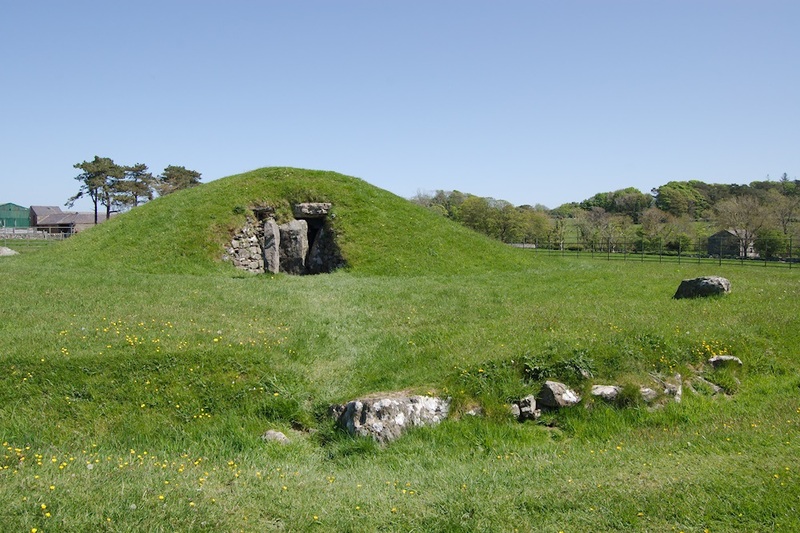 Many were labourers and it was felt that this lack of further skills prevented the Welsh from becoming something more than admired builders and architects. Even as the Eisteddfod and St David’s Day celebrations took place on Merseyside there were encouragements to “Amalgamate … with Anglo-Saxons – in other words, the English”. Though “they loved their language [and] they loved their country” they also “loved their Queen”. However, perhaps due to their lower numbers, although they took part in electoral politics they never left the mark in the way the Liverpool-Irish did. As Belchem and MacRaild admit in their chapter ‘Cosmopolitan Liverpool’, the Scots are relatively unstudied in their roles within Liverpool history. But the journal Porcupine suggested in 1877 that “had it not been for the enterprise of the Scotchmen, Liverpool would not have emerged from its early obscurity”. What surprised me therefore was that it was individual Scottish men, rather than communities, which seem to have made their mark on Liverpool. 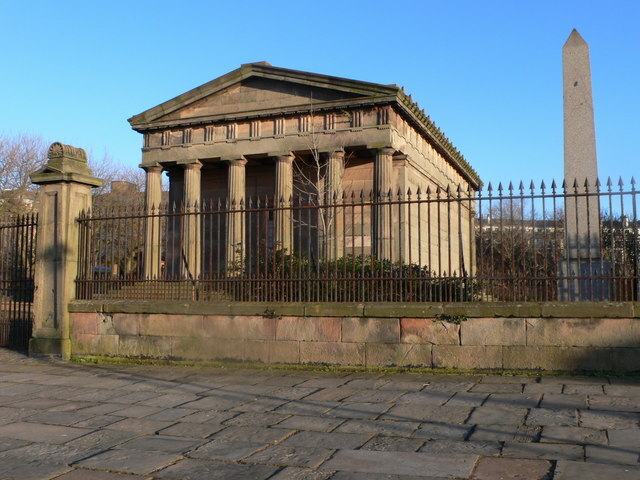 Sir John Gladstone, father of a future Prime Minister, moved to the city from Leith. He was a commercial man, as were many of his fellow Scots, including Samuel Smith, the ‘Cotton King of Liverpool’. The professional contribution of Scotland was not confined to commerce. Dr. Duncan, the first Medical Officer for Health, was just one of the leading lights in medicine of Scottish origin. The skilled Scots tended to cluster further from the docks than their Irish contemporaries, right on the outskirts of the north end of the city. This, Belchem and MacRaild tell us, was partly due to no love being lost between the Scottish and Irish. Indeed the reputation of the Irish for living in filthy and overcrowded courts was not confined to the Scots, though perhaps the records left us by those such as Dr Duncan mean we are left in no doubt as to the Scottish opinion. As I’ve said, as someone more usually interested in the bricks and mortar of the city, and the landscapes of roads and fields, the topic of people has always played second fiddle to the built environment. But this chapter in Liverpool 800 has give me a glimpse into the roles into which the ‘Celtic’ nations fitted in Victorian Liverpool. Having said that, one of the things which struck me were the well-defined lines between what the Irish immigrant could expect to find when he arrived from Belfast compared to the life of the Welsh builder or the Scottish shipwright. Was the truth of the matter so clear cut? I’m sure it wan’t, but what impressions do you get of the Irish, Scots and Welsh in historic Liverpool? Was it the numerous and politicised Irish? The skilled or highly educated middle and upper class Scotsman? And the quiet, insular Welsh communities with their occasional outbursts of Eisteddfod extravaganzas?